Music to start the end of your day. It says on their website that Broken Reed Saxophone Quartet 'is anything but broken - Their sound is full-bodied, harmonically strong and appealing, fresh, light-hearted, festive and yet complex and serious'. 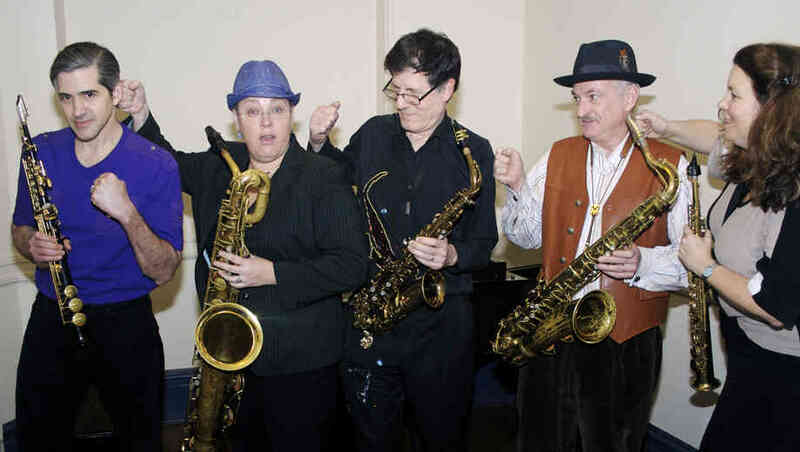 The Quartet was started in 2002 by Charley Gerard and it is actually composed of five rotating musicians. Gerard is known to master the classics, and he loves to add humor to his music as well as improvising. Come and catch Bryant Park After Work Now with Pepsi. Its the perfect outdoor setting for our schedule of New York area jazz musicians and singer-songwriters. Broken Reed Saxophone Quartet will be kicking of for the month of July, followed next week by Eytan and The Embassy.